The Kamloops Community Volunteer Services Society, operating as Volunteer Kamloops, is committed to the concept that volunteerism improves the quality of life in the community and, therefore, supports and strengthens volunteerism through promotion, recruitment, education, orientation, and referral services for volunteers and organizations in our community and surrounding areas. Engaging a community that volunteers. 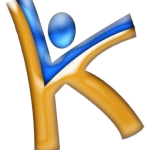 Since 1985, Volunteer Kamloops has recruited and refereed volunteers to our members who could be a non-profit organization or anyone taking on a volunteer project in the community. We are a Registered Charity (132712670RR0001) and a BC Society with our own voluntary Board of Directors. A key annual event is National Volunteer Week during the third week of April. Through training and networking opportunities, we support the efforts of organizations to provide high-quality volunteer programs and opportunities. Our staff members participate on community committees and collaborations to achieve shared needs or address issues that affect voluntary agencies. We advocate on behalf of volunteers and the value of voluntary service in all aspects of our work.